We are an international group of dedicated runners and Survivors from Emergency Services and the Military. During National Police week, we run a 3 day 150-mile relay style race from Philadelphia P.A. to the Washington D.C. National Police Memorial. We run to honor law enforcement officers that gave the ultimate sacrifice while protecting the communities they serve and to also honor their survivors. Law Enforcement Memorial Run (LEMR), Running to remember. We run to honor the fallen officers and their survivors. The run starts at the Philadelphia Naval Yard and ends at the Law Enforcement Memorial in Washington D.C.
from Emergency Services and the Military. This run was started in 1996 with 4 volunteer runners and two support vehicles. There were two officers from the Philadelphia Police department and two officers from the Delaware River Port Authority Police department. 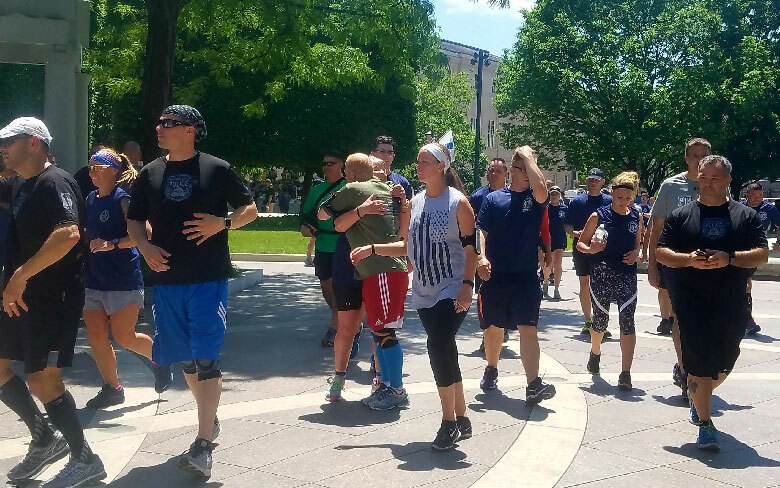 They started on this run during National police week as friends to honor the family members and survivors of officers killed in the line of duty. Each year thereafter, they added new runners and key people to advance their mission. In 2016, 124 runners and support personnel from 5 states and Canada started out from the Philadelphia Naval yard.